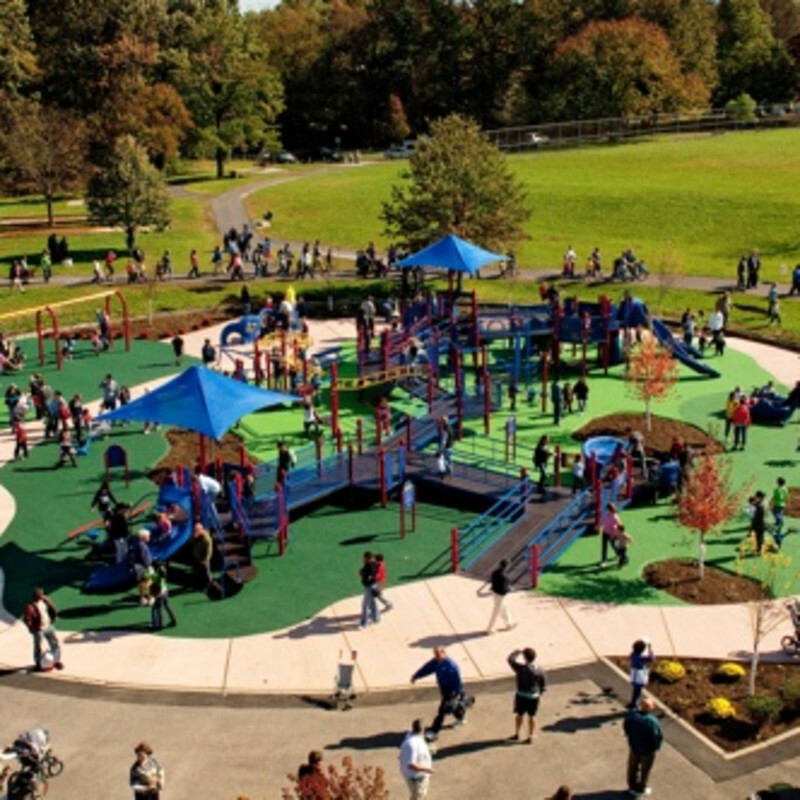 The first all-inclusive playground built in South Jersey, Jake’s Place is an impressive site that was co-founded by the parents of “Baby Jake” in his memory. They wanted a place where every child had a chance to play regardless of physical limitations. The blue and red playground equipment stands in stark contrast to the bright green ground surface, creating a vibrant environment that encourages play for all. The bridges, tunnels and slides of the sprawling structure are all equipped with ramps that are strong enough to accommodate disabled adults, as well as children. There are also plenty of benches for parents to sit and watch as their children play.